Classic dinner rolls are the perfect accompaniment to many a family feast. This recipe doesn’t require fancy baking equipment; simply bake the rolls in a 9 by 13 baking dish. The results are fluffy and tender. The #Breadbakers know that family feasts and celebrations are not complete without BREAD. Whether it is for the big Thanksgiving meal or for a simple weeknight family supper, bread really does bring everyone together around the table. Bread hits the senses: touch it while you knead the dough, smell it while it bakes, see its golden brown crust on top, taste it warm and fresh from the oven and hear the happy sounds of your family enjoying it! We are baking all sorts of breads that you might bring to a family feast and we invite you to bake along with us. Our host this month is Cook’s Hideout, thanks, Pavani! When I was young, many of our special occasion family dinners included my immediate family of six and both sets of grandparents. We were lucky to live close to each other. While there were plenty of made-from-scratch dishes at our celebrations, bread was not one of them. We ate those lovely, little Pepperidge Farm trays of rolls and we fought over every last one of them! I loved the uniformity, knowing that each roll would fit a pat of butter right in the middle and each would take two or three bites until I could reach for another. 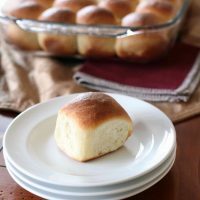 These classic dinner rolls remind me of those rolls. The recipe suggests making just 16 rolls but those turn out to be rather large in a 9 x 13 pan. I made smaller rolls and fit 24– 4 rows by 6– and you could even squeeze 5 by 7 if you’d like. The recipe from Fine Cooking proved to be easy to follow and simple to make. I did bake my rolls a touch longer than the 20 minutes recommended, say 25-28 minutes, but I am sure the cooking time will depend on your oven. Bake until a golden brown. 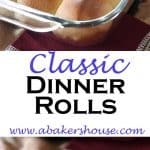 I made two batches and learned that the rolls baked in a glass 9 x 13 casserole dish browned more quickly on the bottoms– the rolls were good but for an overall softer roll try baking them in a ceramic baking dish to protect the bottoms from browning too early. Once you get the hang of these basic rolls, you can add herbs or other flavors such as a poppy seed topping or a dried onion and garlic mixture. These may replace the Pepperidge Farm rolls on my Thanksgiving table but nothing can replace those happy memories of big family meals around the table together. I followed the recipe from Fine Cooking. Please click through on this link to see the original recipe. The ingredients are listed below. Classic dinner rolls are the perfect accompaniment to many a family feast. This recipe doesn't require fancy baking equipment; simply bake the rolls in a 9 by 13 baking dish. 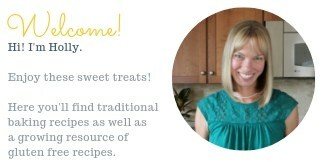 Please find the original recipe here on the Fine Cooking site . The memories of happy meals with family ! Oh how I miss my family when we have a celebration or something important to share. But the memories keep me going and I try to recreate those for my daughter. I LOVE how gorgeous your rolls look – Uniform, springy and just how dinner rolls should be. Knowing how difficult it is at this altitude, I think you have done quite well. You do such a wonderful job of sharing your memories through your blog and I can only imagine how special it is when you share family stories and history with your daughter. Wishing you happy times with your family! Perfect rolls Holly! When I was growing up, we had those Pillsbury rolls in a can! =) These are so much better, and your guests will love you! 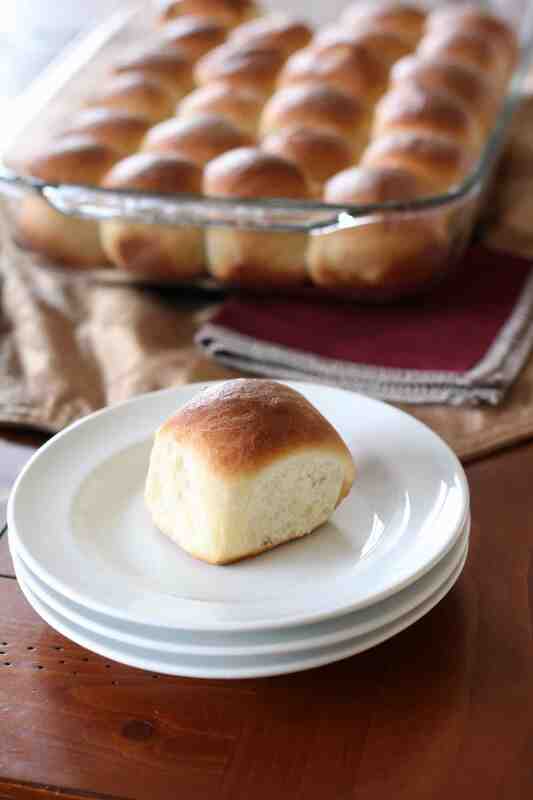 This is definitely the perfect roll recipe for Thanksgiving! Easy and delicious! These do look like something straight out of my grandmother’s oven. They are perfect. Since we have a big family meal coming up, I’ll have to volunteer to bring the rolls and use your recipe. Wishing you a very happy Thanksgiving, Karen! Hope to see you soon! Pretty little dinner rolls are always on our table, you can bring them next time, okay? You’ve got it. Name the time and place! Wouldn’t it be fun to all share a meal together? Your dinner rolls turned out perfectly. Thanks, Wendy! There is always room for improvement around my kitchen but I would make these rolls again for sure. They hit the spot! Those rolls made many an appearance on our family table for special meals as well, Holly. My grandmother was a fabulous cook but I really don’t remember her baking that much, until her later years and then it was usually sweet treats. Your rolls look absolutely perfect! We’d be fighting over them as well. I am reminded of that often, Stacy, that we remember the occasion of family meals and not necessarily what was made from scratch and what came from a box mix and what simply came from a can! I’ll keep that in mind as I bake this holiday season; it’s about the time spent together and the memories food creates, not about how many dishes are homemade or how many look like they belong on the pages of a magazine. Happiest of holidays to you! These are wonderful, Holly! I grew up at a holiday table where everything was homemade except the rolls too, and I was all about the rolls. Mom used to get the par-baked pull-apart rolls (like butterfliake, I guess), and they were soft and squishy, but I adored Pepperidge Farm and could eat my weight in them. I was so sad when they stopped making (or at least selling around here) their “Petite Party Rolls.” Those guys were great! Yay for Pepperidge Farms and for holiday traditions! I’ll try to start a new tradition by sharing these rolls at the Thanksgiving table. These rolls look so perfect and inviting Holly! We make something similar in India called as ‘pav’ and I can’t wait to try them soon, your pictures have tempted me so much!! Thanks, Shireen, I’ll have to learn more about pav too, thanks! My father loves those Pepperidge Farm buns. But I think he’d love these even more! 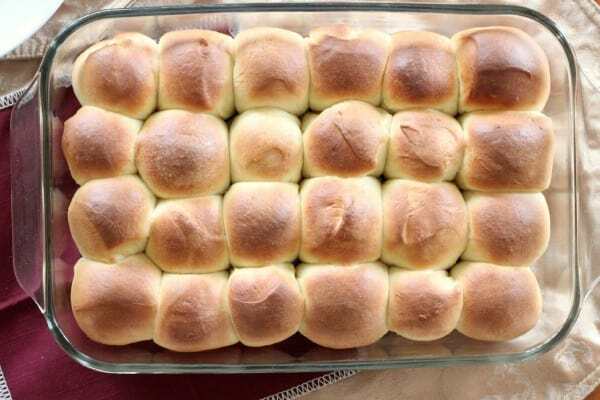 These rolls looks like our Indian famous “Pav”. These classic dinner rolls are so tempting. Perfectly baked dinner rolls. They are sure to be a hit on any dinner table. I just love little rolls like this, the only problem I could eat way more than just one! I miss family dinners or lunches especially during festivals as my family lives very far from us. Rolls look so nice.